What is a Virginia Rental Application? Virginia Rental Application: What Is It? 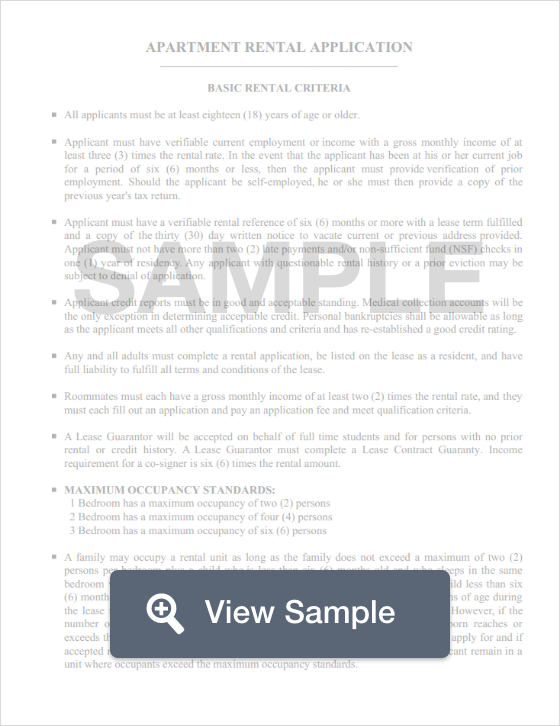 A residential rental application is a tool that a landlord will use to collect information from prospective tenants to gauge whether or not they will be reliable tenants who can afford the rent. Rental applications collect information on a person's income, previous addresses, criminal history, and other information that helps the landlord make an informed decision on who the next tenant of the vacant apartment will be. Rental applications must conform to federal fair housing laws to ensure that every applicant is not discriminated against when they are searching for housing. According to Virginia Law, a security deposit may not exceed the equivalent of two months rent. Not only do landlords have to pay interest on the security deposit each year, but they must return the deposit within 45 days of the tenant moving out.